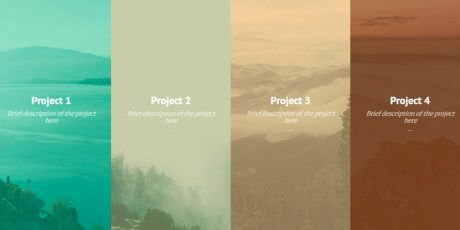 A portfolio template with project preview images that slide out as a way to transition from the main page to the project page. All panels move along the y-axis (x-axis on smaller devices), and the movement is triggered by whether the user wants to learn more about a project, or wants to access the navigation. 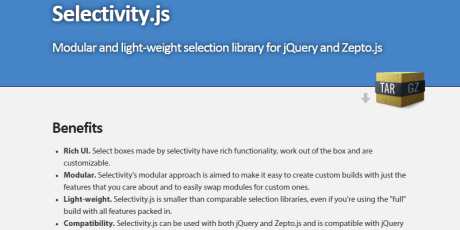 Selectivity is a modular and lightweight library made in jQuery and Zepto.js, perfect for creating selects. It has a rich UI and can be used for free. 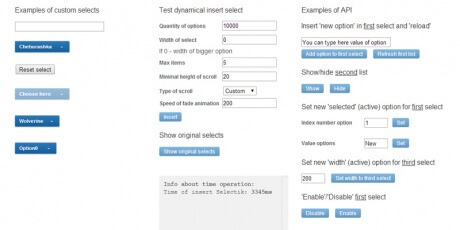 It was created by Arend van Beelen jr.
easySelect is a jQuery plugin for selecting elements in an easy way. To use it you just need to add jQuery to your site, place the multiple select element in your HTML, and call the easySelect() function on the element. 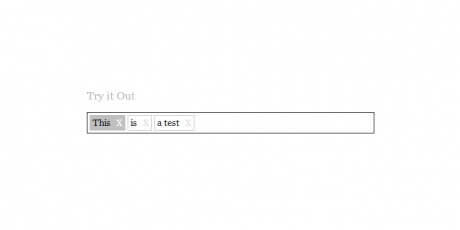 This simplifies the way elements are selected, allowing you to convert it to tags. It was created by Tamer Aydın. 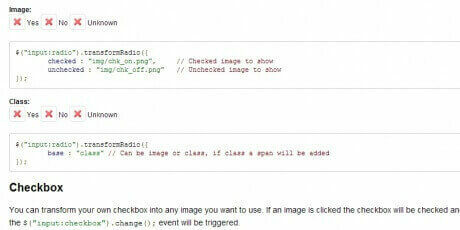 A jQuery plugin for selecting different elements with checkboxes. 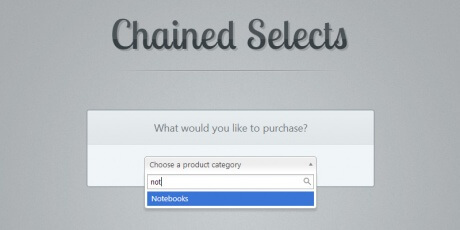 Among its features we can find: - Default option allows to show checkbox. - Ability to grouping elements. - Supports to show multiple items in single row. 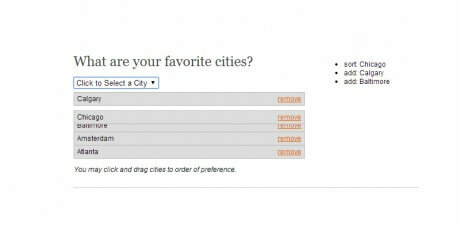 - Select all options. - Feature to show placeholder. This plugin is free to use and modify in any way you find appropriate since it has the MIT license. 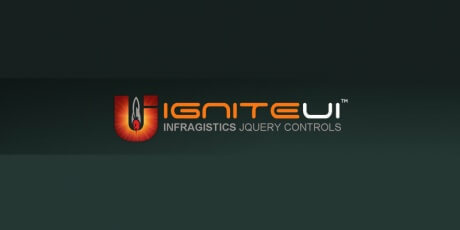 With this tool, you can give regular HTML elements a completely new and customized look. 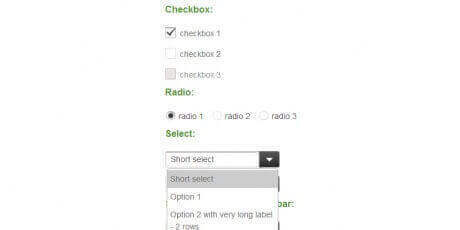 Thanks to its easy implementation and customization options, it is possible to alter four kinds of elements: Radio buttons, checkboxes, select elements and input boxes. 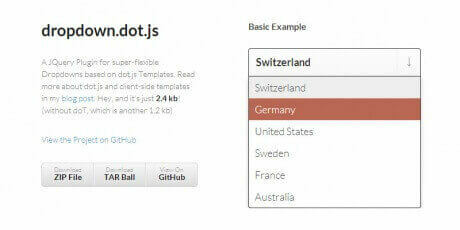 Selectize is a powerful jQuery-based custom UI control that aims to provide a clean and resourceful API. 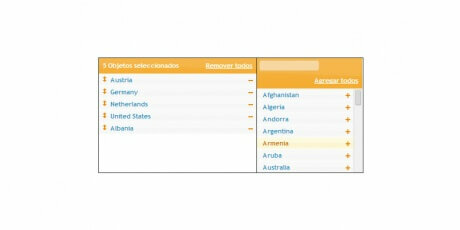 It can be used to manage tags, lists, country/city selectors and much more. It is also possible to navigate through items with the keyboard, as well as drag and drop elements around. A very simple dropdown menu with a colorful design. 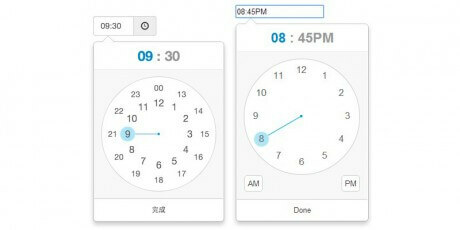 It was created with jQuery and Kendo UI and uploaded to JS Fiddle. The demo contains a button to remove languages, which temporarily deactivates the menu until you refresh the page. 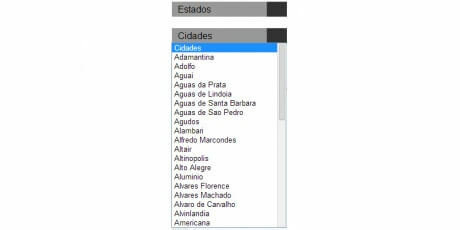 This is a clean, smooth dropdown menu with no animations created with jQuery, CSS and HTML. It displays a stylish blue skin with shadow effects when clicked, we can also find hover effects on the expanded menu options. 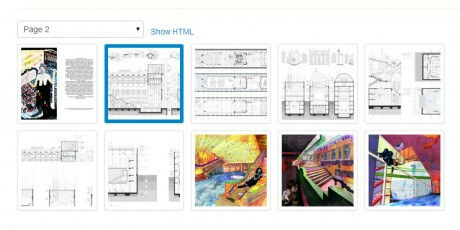 Its main feature allows the addition or removal of options. Originally designed for a Codrops tutorial, this design provides a clean drop-down design, useful for displaying a selection of options, which can be mere clickable items, check boxes or whatever you need. 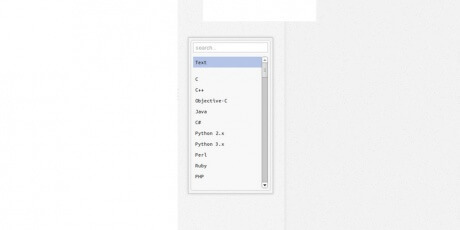 The drop-down is not made with images but by using pure CSS and a little bit of jQuery. 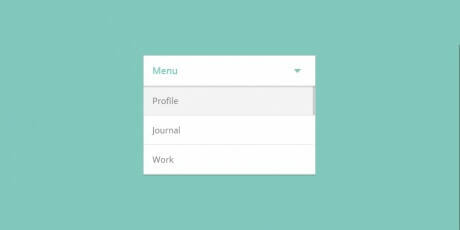 A stylish jQuery menu portraying a stylish flat design with a smooth animation that shows the available dropdown options when clicking on the main element. 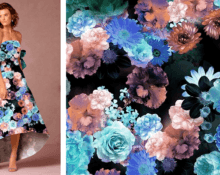 It is styled with nice, soft colors. Created and uploaded to CodePen by user Joe Richardson. 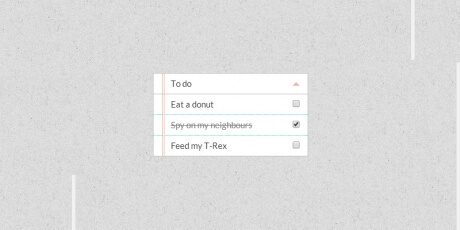 Part of a series of custom-made dropdown lists featured on Codrops, this menu features a "to-do" list with a paper-like styling. When clicking on the main element, a quick fade makes the actual list appear; from here it is possible to check and uncheck a selection of hypothetical tasks. igCombo will allow you to manage your selection boxes in a variety of ways. It is possible to boost your forms and boxes with autocompletion, filtering, multiple cascading boxes, checkboxes with more than one selection at a time, templates and more. 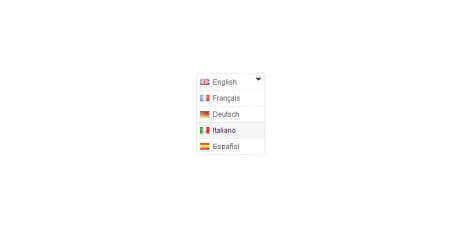 Polyglot is a simple yet effective little plugin for jQuery that allows the user to change between any languages we currently have available for our website. 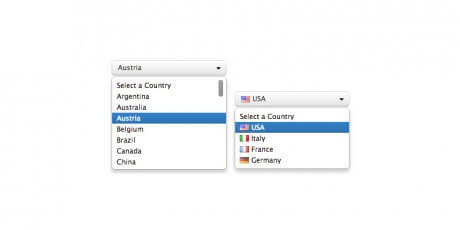 It was designed as a basic dropdown list with flag icons next to every option according to the language and country they represent. This combo box mixes an input field with a select element, this is how it works: The user is given the input field and dropdown menu, they can type whatever they want and the options from the dropdown will be filtered according to that. 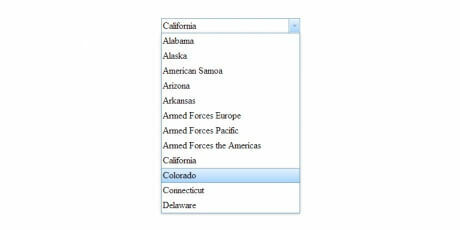 Of course, the user can just do it the old fashioned way, look at the dropdown and click a selection. 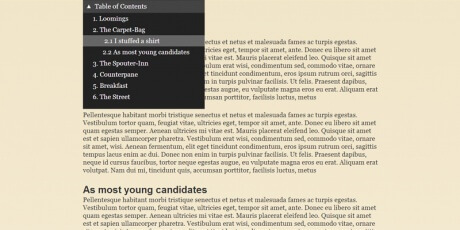 This cool combo box designed for Knockout puts a select element and a page browser together in the same concept. What comes out of this is a dropdown that goes through pages instead of showing an almost endless list of option at once, helping the user with a much easier experience. 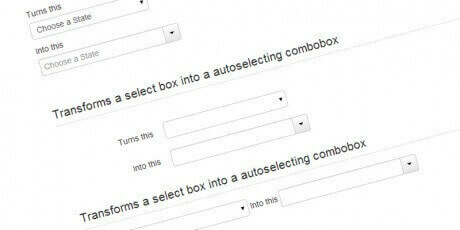 A jQuery combobox that allows selecting items from a list or typing them in. This is done by combining a select, text field, and button. This plugin intends to and functionality and custom styling to select elements while keeping the advantageous properties of the default, which are not exactly visually impressive but can prove truly useful. By combining both, you can have select forms that work perfectly and look stunning. This dropdown component adds structural styling to our designs, opening great possibilities in terms of visual and functional customization. With this tool, we can apply a different look to every option inside a dropdown, disable elements and much more. 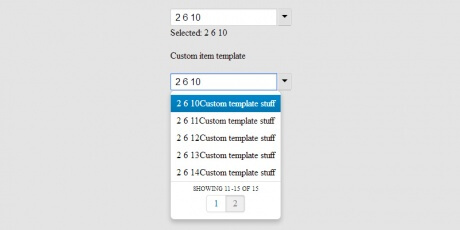 Starting from dot.js templates, this jQuery Plugin provides highly customizable dropdown lists. Apart from being really flexible, coming from a template also has positive implication on performance, which we might want to keep in mind. The project is hosted on GitHub, too in case you'd like some more info. 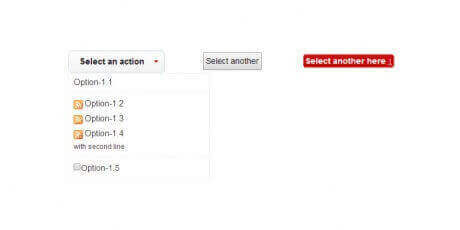 Easily present an ActionSheet with a PickerView, allowing user to select from a number of immutible options. Based on the HTML drop-down alternative found in mobile Safari. 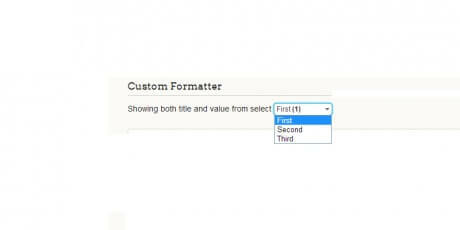 asmSelect is a jQuery plugin that facilitates the process of creating select multiple form elements and adding extra features to them. It is possible to modify styling, drag and drop elements, give the user the possibility to add/remove elements and much more. This tool allows you to integrate an image picker into your project, this makes on-screen elements friendlier and selectable for users, making it possible to select individual or multiple elements. 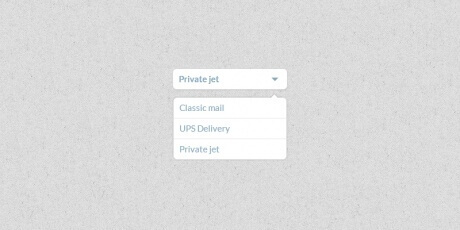 This jQuery widget provides an easier way for our users to browse through selection menus. If they face too many options, it is possible to filter them by typing in a search bar. As the name hints, multiselections are also part of its arsenal, with direct dragging of options and counting of the available choices. 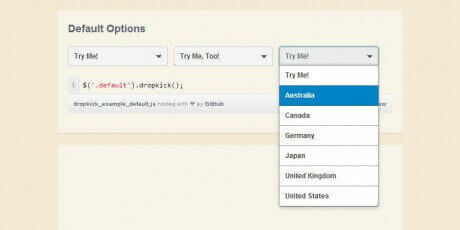 DropKick focus is to provide an easy tool to remove all the hassle from creating custom dropdowns. It works just like a <select> tag, which means your forms and AJAX requests should work the same without having to make any changes. This useful plugin also features keyboard navigation, dynamic selects, custom themes and callbacks. 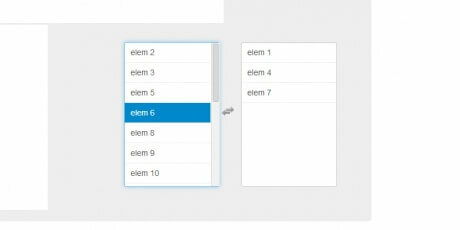 With this jQuery plugin, it is possible to turn a standard select into a neat collapsible list with elements inside that can be selected easily, just click on the option boxes and they will be highlighted. This plugin also features full support for touch screen devices. 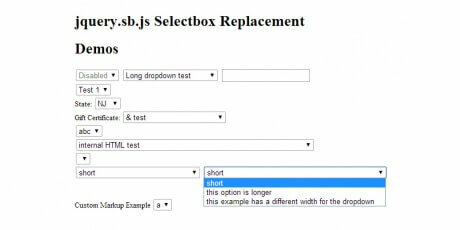 bSelect is an additional component for Bootstrap that will allow us to improve the appearance of our select forms in many different ways. Apart from adding attractive effects, we can add additional functionality. 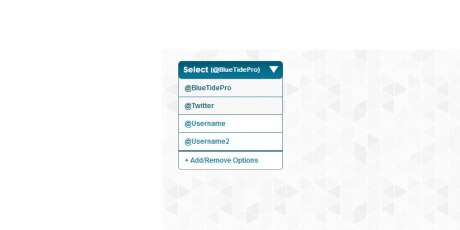 For instance, we can add an input bar in order to easily filter the available options. 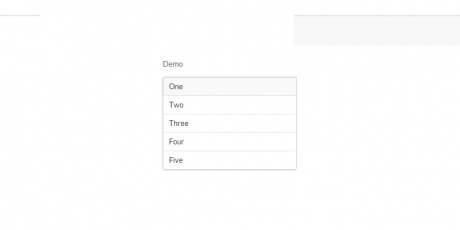 Manifest is a jQuery plugin that add a bit of flavor and ease to the process of entering multiple values into a form. Let's say a user is entering various e-mail addresses in a field and separating them with a comma, then they realize they made a mistake and have to go back, with manifest, these elements are automatically separated, making the deletion much simpler and faster. 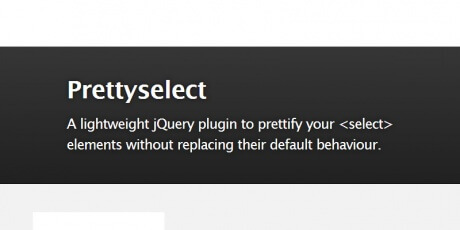 PrettySelect is a lightweight jQuery plugin that intends to change the aesthetics of your select forms and make them prettier (as its name might've hint you already) while retaining the same functionalities that it had before. Created and maintained by Mike Klöden. 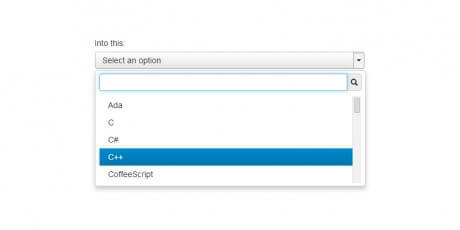 This jQuery plugin intends to avoid the process of writing <select> forms over and over by providing abstraction. 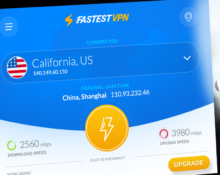 This will dramatically increase speed and productivity, saving precious time that you can use in different tasks through the development process. This jQuery plugin enables you to custom the skin of your select elements while keeping the same look on the actual options elements that you see once the select element is clicked. The plugin supports all major browsers but cannot cope with select multiple elements. 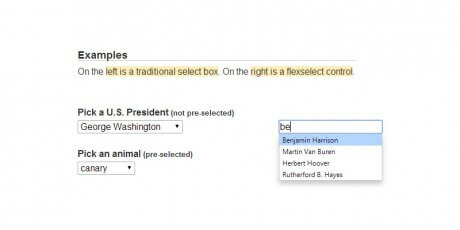 This jQuery plugin enables easy integration of select forms with customizable styling. What it does is modifying the appearance of the collapsed view of the select element while keeping the standard browser behaviour from the actual list of options. 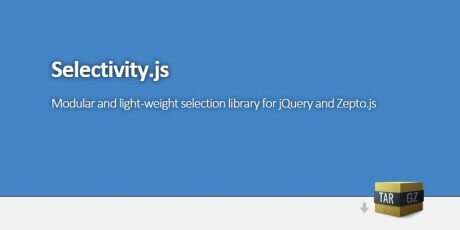 Multiselect.js is a neatly presented jQuery plugin that serves as a replacement to the usual select element with the "multiple" property activated. Instead of showing the same old interface, we get a modern-looking set of boxes that transfer data from one to the other according to the user's choice. 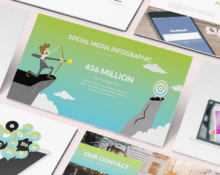 Fancy Fields allows you to give all the forms on your website a customized look which is perfect to drive your site away from the average, boring feel. Whether it’s checkboxes, select lists, texts fields or anything else, this plugin provides the tools you need. Also, it features full keyboard support and a great ease of use. 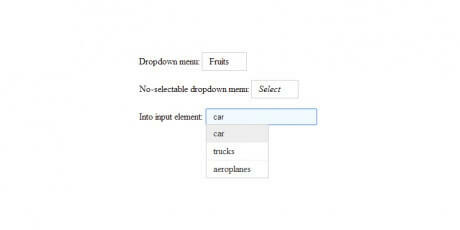 jui_dropdown is a jquery plugin that enables the creation of simple dropdown button menus. 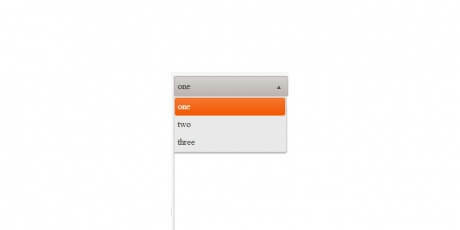 The dropdowns are compatible with jQuery UI themes, so they can look in hundreds of different ways. Also worth noting, the plugin has been tested with both desktop and mobile browsers. This plugin centers on creating a fixed dropdown menu at the top of the screen that opens and closes in a "table of contents" style. The menu can also include sub-menus that, when clicked, jump to the selected section of our one-page website. 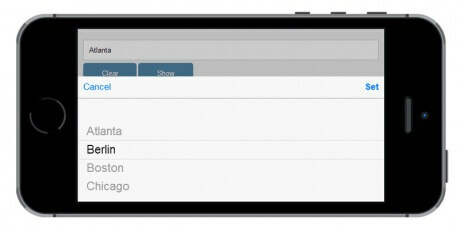 Flexselect simplifies the task of selection in a very long dropdown, or any dropdown for that matter, allowing the user to input a prediction of the options presented, which will filter the menu and display only the elements that match. Best thing is that it does not need to be exact or match the beginning of the element, as long as the letters match any part of a selection. The select scroller is part of the huge Mobiscroll suite for touch UIs. With this particular ingredient, we will be able to cook tasty scrollable dropdown menus for iOS, Android, Windows Phone, BlackBerry and iPad, each with their own theme and feel. Martin Angelov from Tutorial Zine has created this cool tutorial on how to make a group of chained selections. The idea is to have a list of options that will display another list (based on that previous choice) that refines our selection. 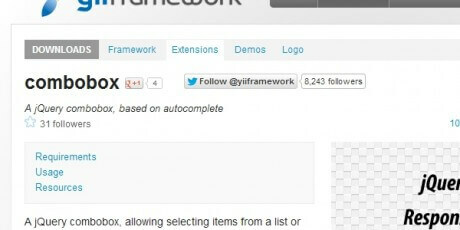 The displaying of the additional menus is managed through AJAX. Originally created for the XSnippet project, this simple plugin bases itself around <div> tags, which allows far better CSS customization than the inflexible standard <select> tags, opening great possibilities. Also, this component provides a search bar that can be useful in lists with lots of items. In this case, the name says it all. This is a plugin used to make simple, stripped-down dropdowns without too much hassle using HTML, CSS and jQuery for styling and animation. Also, the menus work perfectly on mobile devices and older browsers, which gives this tool a plus for compatibility and portability.